In RailCOMPLETE, you can do clash control by either “driving” a virtual train through the model or getting RailCOMPLETE to draw up an envelope that shows what space a train coach of given dimensions will occupy. Due to the fact that the train coach body is rigid and that the axles or bogies are normally attached at a distance from the coach ends, we will experience both an inside curve displacement and an outer curve displacement of the coach body. 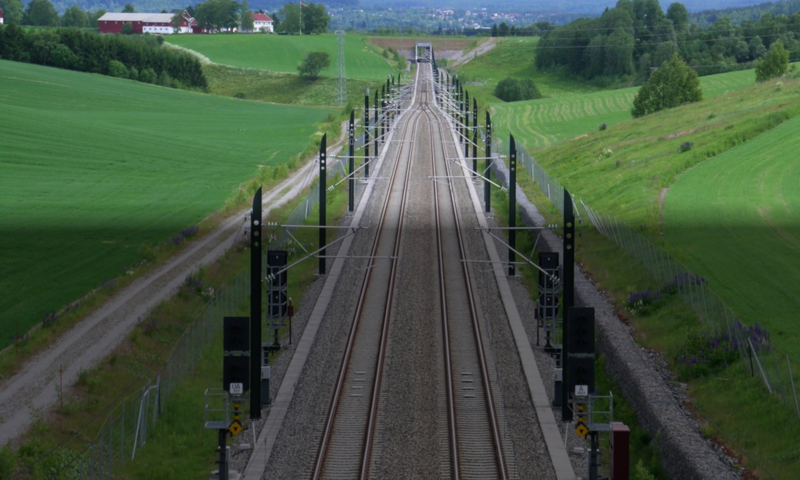 The function is useful for placing catenary masts correctly with respect to sight lines towards optical signals and wayside boards, or to ensure that requirements for the minimum train loading gauge are met.